It’s great to take a look at this album a couple months after its release, seeing just how much of a cultural impact it’s had. Ariana Grande is the pop star of the moment for a reason – she switched up her release schedule for a world reliant on streaming, dropping two stellar albums in the span of 6 months, and succeeded in turning the worst year of her life into so much success by shattering the fourth wall, being so human, vulnerable and incredibly specific about it and using her music as therapy for both her and her audience. Grande has flawlessly taken control of her narrative and become a pop star for the social media age – and oh yeah, the music is pretty great too. “imagine” is a pretty perfect opening track, reminiscing on the perfection of her relationship with Mac Miller before delivering the crushing blow in the chorus – “imagine a world like that”. The track returns to her R&B roots more than almost any single she’s dropped since 2013, even bringing back her mindblowing whistle tones at the conclusion of the song. It’s a very touching tribute, but in terms of emotion that Grande was able to put into these tracks from her personal life, there’s nothing like “ghostin”. I honestly think this might be her greatest track of her career, even if I might not want to give it repeat listens because it’s just so profoundly sad. Opening with a sample of Miller’s song “2009”, the last song he ever performed live, Grande sounds like she’s on the verge of tears at all times as she sings about worrying that her grief over Miller’s death is hurting then-fiancé Pete Davidson. The track is beautifully somber and ethereal, Grande even referencing a couple of Miller’s lyrics from his love songs to her that make it all the more emotional. The tracklisting has some of her classic upbeat, Max Martin-produced pop material as well, but a lot of it is now tinged with some depressing and self-destructive lyrics, like Sweetener’s dark cousin displaying the hidden underbelly of Ariana’s perspective on romance after her split from Davidson. “bloodline” and “bad idea” are both certified bangers, the former riding an enormous horn section in the chorus and the latter possessing a skittering trap beat and what is easily the catchiest and most radio-ready chorus here. However, both of them also see Grande at her most cynical as she throws the ideals of her previous albums away, denying the existence of true love and following through with an impulsive hook-up despite knowing it’ll likely make her even more emotionally distraught later. In between them is “fake smile”, which really sums up everything Grande is feeling perfectly – she finally puts down her façade, saying that after what she’s been through she can’t pretend that she’s feeling fine anymore. “F**k a fake smile”, she dismissively sings, the track dropping into a fantastic tropical groove as Grande once again turns her despair to a message of strength and persistence. The track “NASA”, as well, is the one that’s really been stuck in my head the most through all of this time, Grande drawing out that “staaaar, space” in one of the most powerful vocal moments here. From the start of her career, I’ve always wanted Grande to evolve into a Whitney Houston-esque figure due to the sheer technical ability she possesses, but after hearing these back-to-back albums, this is exactly where she belongs. She’s found her voice, and even when she’s not delivering the biggest vocal moments, she sounds incredibly comfortable and at home on this new blend of laid-back trap, pop and R&B. Tracks like “needy” and “in my head” have her perfectly in her element, not being pushed into any corners and sounding incredibly natural speaking the truth of her experiences. Then, of course, there’s the 1-2-3 punch of singles that close the project. “thank u, next” was an enormous, undeniably powerful surprise, a gracious break-up anthem that preaches learning from the pain and coming out stronger for it, and it still easily stands out here as Grande’s inspiring modus operandi. “7 Rings” is now Grande’s most successful song, an essential perfection of the trap-pop formula that is the necessary flex after the courteous “thank u, next”. It’s tough to decide which is Grande’s best work, but making something this cohesive that catapulted Grande to the forefront of the public consciousness in only 6 months easily puts thank u, next in serious conversation. Most importantly, this is Grande at her most authentic, and you can tell. This one’s for the year end list. Broods, the New Zealand sibling pop duo and rare recipient of a perfect score on this website, release their third studio album Don’t Feed the Pop Monster and switch up their style in the process. Staying true to the album’s title, this latest project has less of the polished, clean 80s pop shimmer that coloured their last album Conscious and instead opts for a raw, sometimes experimental sound with more distortion. Bringing back superproducer and countryman Joel Little for a couple of tracks, the siblings’ knack for sharp pop songwriting is still here, but the success of the duo’s new sound is inconsistent. The opening track “Sucker” could have easily been mistaken for a track on their last album, with the same pulsating synthbass notes and breathy lead vocal from Georgia Nott – until it goes in a completely different sonic direction once the chorus hits. The track doesn’t explode into an immediately memorable, celebratory pop hook like you’d expect it to, the rhythms of the percussion actually getting more complex while the synth chords distort. It’s clear that they were going for something a little more immersive and psychedelic with most of this album, I’m just not sure it delivers the same thrills I’ve come to expect from the band in the past, however listenable it remains. Most of these tracks are still pretty good regardless, they just don’t play to the band’s greatest strengths. The lead single “Peach” should have let us know that the band was going to take things to a weirder place – the track rapidly switches between multiple different sections that don’t complement each other particularly well, the tempo increasing with those annoying pitched-up vocals in the pre-chorus taking me out of it every time. The tracks “Everytime You Go” and “To Belong” demonstrate even more ambition, each stretching over 5 minutes in length. The former is actually quite engaging, Georgia’s haunting higher register echoing sparsely around a driving and upbeat interlocking percussion section that switches up enough to keep me interested, but “To Belong” is one of those repetitive songs that pick a single motif and build the instrumental out around it for far too long. A couple of these tracks actually have more of a rock edge, featuring more traditional drum patterns and guitar chords at the forefront of the mix, and although the songwriting remains the same catchy pop material, the combination with a heavier instrumental doesn’t fit as well as their more synth-oriented material. Georgia Nott’s vocals are so beautiful in their breathy subtlety, and on tracks like “Dust” and “Old Dog” the best aspects of her voice are drowned out in the mix – even if the tracks themselves are still pretty excellently structured. The dreamy, almost doo-wop sound of the closing track “Life After” hits the perfect sweet spot in showing off her vocals – it’s a perfect way to send listeners off as her voice fades into the vintage crackle and an orchestra. “Why Do You Believe Me?” might be my favourite track here, the instrumental taking a more minimal approach as we get these computerized yet complex harmonies from Georgia over some of the most traditionally warm and welcoming synthpop chords here and huge percussion fills – it sounds like you put an entire HAIM track through Prismizer. I don’t often like voices as perfect as Georgia’s being put through so many effects but the sound somehow fits with their spacier new material, returning even stronger on a track like “Falling Apart” – the call and response section towards the end of the track is another standout on the album. “Hospitalized” is another track that I can’t help but love and perhaps the best execution of some of the duo’s quirkier tendencies that they explored on the project – the chorus is delivered in a carefree and confident rapid-fire, the walking bassline going mad in the back as Georgia sings of her self-destructive nature, her vocals fittingly getting chopped up by the end. If the score doesn’t match the review, it’s just because Conscious has set my expectations so high that even the perfectly solid pop album in front of me feels like a bigger disappointment than it should. There’s a lot that’s still far ahead of their contemporaries here. However, it’s strange that the duo doesn’t seem to like Conscious at all, not playing it at their shows. A lot of artists treat “pop” like a dirty word – what’s wrong with feeding the monster? It feels strange reviewing an album with “Despacito” on it in April 2019, but here we are. As we’ve seen over the past few years, Latin music has been slowly but surely securing its placement in the trendy sounds of the mainstream. 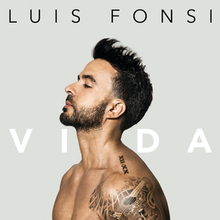 Nobody came with a more Earth-shattering hit than the veteran Luis Fonsi, who finally has a full album to back it up after becoming a household name. Fonsi doesn’t break any new ground here, “Despacito” remaining one of the better tracks on this collection, but his powerful voice certainly surprises at times especially on a couple of the ballads. “Sola” immediately drops into a familiar reggaeton sound and minimal, tropical-sounding acoustic chords, Fonsi coasting off the strength of his vocals despite there not being much to the song itself, what’s intended to be the catchiest part of the chorus reverting to a single, repeated note and syllable. “Apaga La Luz” fares a little better, switching up a couple of the rhythmic patterns with the guitar and bringing in a little bit of an electronic edge as the chorus drops despite the same reggaeton beat as Fonsi triumphantly reaches up into his falsetto as he delivers the title – meaning “turn off the lights”. While a couple of the most generic tracks open the project, there are also a couple gems to be discovered later. Before “Despacito”, Fonsi was actually mostly known for his emotional and passionately delivered ballads, and there’s no shortage of tracks to uphold his reputation here. “Le Pido Al Cielo” is the first one on the tracklisting, and the track honestly sounds pretty timeless, like it belongs in a Disney movie or something. Fonsi’s voice is surprisingly pretty incredible, endlessly expressive and communicating the emotions of the song to me despite the language barrier. His higher range is what really sells the song though, showing off some impressively belted harmonies mixed perfectly into the back for a solid foundation. The chorus was strong enough already, but dropping back everything but the percussion for the finale puts the track over the edge. “Dime Que No Te Iras” is another, stripped back to just the piano to put Fonsi’s voice more in the spotlight, instead displaying some of the contrasting aspects as he alternates between a breathy, almost whispered vibrato and a full-voiced knockout chorus. Fonsi brings out a roster of pretty engaging guests as well – fellow superstar Ozuna guests on “Imposible”, which is a pretty fun duet despite sounding essentially like Despacito 2 – it’s nice to hear the interaction between the raspier Ozuna and the full-voiced Fonsi. “Echame La Culpa” with Demi Lovato is almost as old as “Despacito”, but bringing someone else with this much sheer vocal power on board was a smart move, the two combining for some great tropical harmonies. “Calypso” is another summery track that offers more of the same, but it’s interesting to hear two cultures with similar sounds come together when the Jamaican Stefflon Don appears on the track. Most of the rest of the tracks here don’t offer much to comment on – most sounds that explode into the public consciousness quickly ultimately develop a formula that becomes easy and effective to follow and this is no exception. Tracks like “Poco A Poco” and certainly get me to nod my head, but there’s almost nothing that distinguishes them from most of the other Latin tracks that blow up. “Tanto Para Nada” might be the best of the more generic bunch, a slower-paced song that suddenly drops a trap beat and a ridiculously catchy guitar pattern onto the chorus. VIDA is more dynamic than I expected it to be after the runaway success of a single song, as Fonsi partially succeeds in delivering something more than 11 more Despacitos. The guy has been at it for a long time and there’s certainly a lot about him to like, but most of this is too safe to truly excite.